The passionate performance by Park Yoochun who overcome pain shines until the end of the drama. SBS Wednesday and Thursday drama series “Rooftop Prince” concluded on the evening of May 24th, 2012 with a touching ending of the love of “Gak-Ha lover” Lee Gak (Park Yoochun) and Park Ha (Han Ji Min) that spans beyond 300 years. The image of majestic Crown Prince in Joseon Dynasty, somewhat absurd but pleasant adaptation period in modern times, and the love with Park Ha which is sometimes funny and sometimes touching yet saddening, Park Yoochun is using a variety of acting skills to lead the pulse of the whole story, showing a more mature acting. Park Yoochun played the role of Crown Prince Lee Gak who time traveled together with his subjects to 21st century Seoul in “Rooftop Prince”. The love with lover Park Ha which cannot be fulfilled in the past life, is reunited in romance that spans beyond 300 years, touching the viewers. This time the role of Lee Gak is the competition of the characters which used to play by Park Yoochun previously in the KBS 2TV “Sungkyunkwan Scandal” and MBC “Miss Ripley”, showing the many images of well loved Park Yoochun in multifaceted. The unique theme of time traveling, shuttling between the historical drama and modern drama, he perfectly interpreted the acts in two eras, bringing fresh impact and fun to the audience. In particular, Park Yoochun met with unfortunate event of the death of his father right before the premiere of the drama, but he endured grief, and threw himself into the acting, making the role even more shining. Park Yoochun who returned to the drama earlier than production team’s expected said that he would not let the hardworking crew members, fans and viewers wait any longer. During the shooting, Park Yoochun wrote, “Dad, miss you like crazy,” making the fans worried. Recently, he wrote, “The filming that remains few more days that longer than ever, yet pass faster than ever. ‘Rooftop Prince’, no matter it’s pain or joy, is a drama that made me strong,” expressing his feelings, showing more robust himself. The busy schedule also led to a traffic accident. 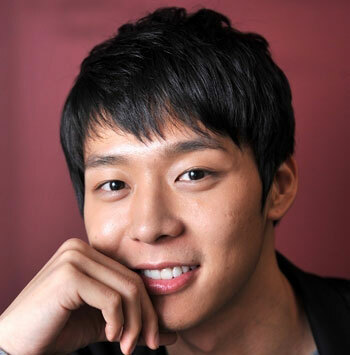 Park Yoochun experienced traffic accident while on the way to filming scene on the early morning of early May, and suffered pain in the neck and waist. But he did not get to the hospital in order to complete the shooting schedule, insisted on shooting, and once again making everyone marvel. Experiencing pain and putting himself through the mill, yet still able to interpret the role so perfectly, the acting of Park Yoochun is making “Rooftop Prince” even more shining.